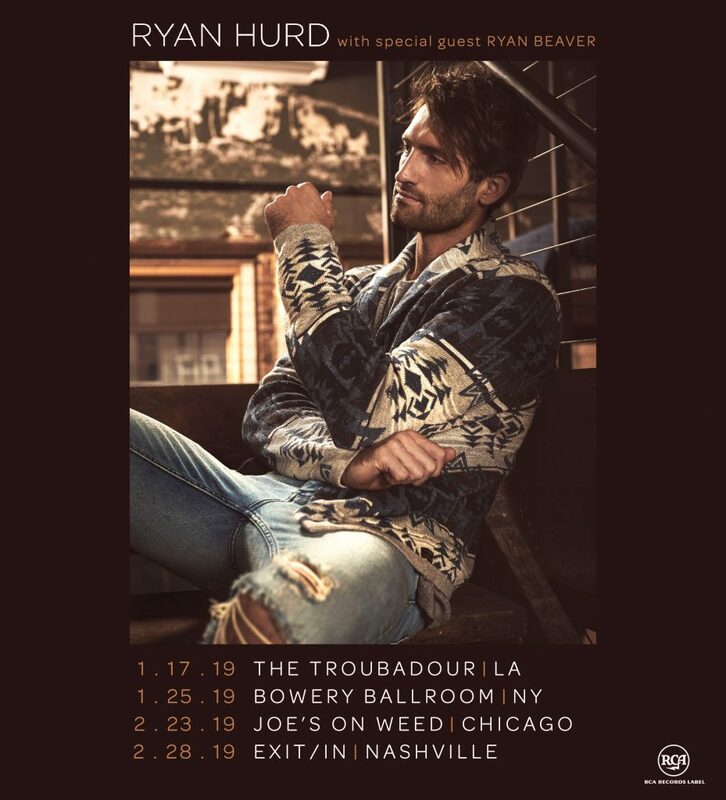 RCA Records Nashville singer-songwriter Ryan Hurd will launch 2019 with a short series of club shows. Hurd hand-picked each of the venues on his upcoming four-date, full-band tour. He will visit Los Angeles’ The Troubadour on Jan. 17, New York City’s Bowery Ballroom on Jan. 25, Chicago’s Joe’s On Weed St. on Feb. 23, and Nashville’s Exit/In on Feb. 28. In addition to his own career as an artist, Hurd has co-written hits including “Lonely Tonight” (Blake Shelton), “You Look Good” (Lady Antebellum), and “Sunrise, Sunburn, Sunset” (Luke Bryan). SMACKSongs writer Ryan Beaver will join the shows; Beaver has penned songs included on albums from Steve Moakler, HARDY, Ashley Monroe, and was nominated as AIMP’s Rising Independent Artist-Writer of the Year in 2017.